Have you ever taken a Facebook personality quiz? You can answer questions to find out what celebrity you look most like, what flower is associated with your name or which Disney villain you most resemble. We've got our own test at Hy-Lite … and it's all associated with our Home Designer Collection of decorative glass windows. 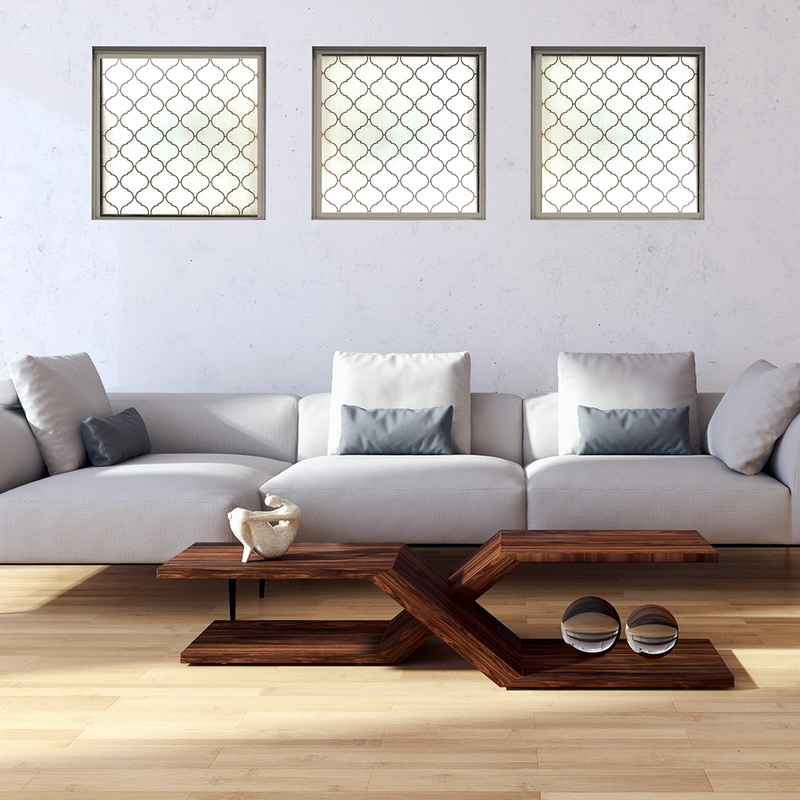 Answer just three questions and we can match you with the best style window for your home. A. Change them out every few years, to stay on top of the latest trends. B. Buy new ones only if I have to get new sinks or a new tub. C. I flip through magazines regularly and visit home improvement stores constantly to see what will look the best in my home. D. Stay with the same faucets that came with the house no matter what. A. Going out to dinner and a movie with my date or friends. B. Stay at home, get a jump on weekend cleaning so the house sparkles by Saturday. C. Party time! Hitting the clubs and dancing the night away is on my agenda. D. Soak in a long hot bath to forget about the week. Now, let's check out your answers. If you're mostly an "A" type person, you have an abundance of energy when it comes to your lifestyle and your home. A trendy Metro style window, with clean lines and a progressive industrial feel is just your style. Featuring a bold, three-dimensional design protected by tempered safety glass, this is the window for your home. If you aligned primarily with "B" answers, you're a homebody whose home means a great deal to you. For you, a Mission style window is the answer. A true Craftsman-inspired design, this window features the modern-day appeal of Craftsman home architecture. Warm and welcoming, just like you, the Mission style features clear diamond shapes that make any room a "mission possible." Ah, the "C" people. If your answers fall mostly in this category, then you're ready for the dramatic and show-stopping Baroque window design. Inspired by classic and modern tile, this window provides a unique way to blend textures within a room. This is a "let's talk about it" window … just perfect to match your outgoing personality. Then there are the "D" people … we didn't forget about you! You're the ones who love living in your home. You're a "nester." While you might not be much for change, you like simple elegance in your lifestyle. That's why the Prairie window is ideal for you. From traditional to contemporary, Prairie's transitional appeal is truly versatile. Providing seclusion with style, this window matches your homespun personality. No matter what your window personality, at Hy-lite we can find the perfect window for your home!